Darren Worgan, 34, of Windsor Crescent, Bridlington, was jailed for 42 days, and must pay £50 compensation, for stealing cash from a children's charity box from Premier Inn in Bridlington. Leon Barby, 37, of Nelson Villas, Egton Street, east Hull, received an 18-week prison sentence, suspended for 12 months, for breaching a restraining order by visiting, verbally abusing, and further harassing the victim. He must pay £85 costs and a £115 surcharge. 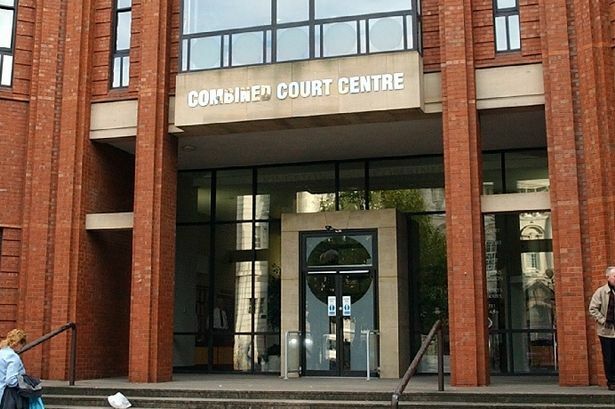 Alex Smith, 36, of no fixed abode, was fined £120 for carrying two spanners and "snap off" utility knife blades in connection with theft. Dale Pearce, 38, Cyprus Street, east Hull, was fined £150 for assault by beating. He was made subject to a two-year restraining order and must pay £85 costs and a £30 surcharge. Ben Taylor, 36, of Hayton Grove, west Hull, must do 60 hours of unpaid work for assault by beating. He must pay £85 costs and an £85 surcharge. Steven Alston, 27, of no fixed address, was fined £120 for stealing three metres of industrial cable. He must pay £85 costs and a £30 surcharge. John Fennell, 27, of Coltman Street, west Hull, was fined £170 for stealing a heater and a bottle of Desperados beer, worth £42.59, from Tesco, and breaching a suspended sentence. He must pay £85 costs and a £20 surcharge. Joseph Wilson, 24, of Woolwich Drive, west Hull, was jailed for 20 weeks for assault, assault by beating, and two breaches of a restraining order. He must pay a £115 surcharge. John Townend, 48, of Adderbury Grove, west Hull, must pay £170 compensation, have six months of treatment for alcohol dependency, attend 31 days of a Building Better Relationships course, and must have up to 20 days rehabilitation, for assault by beating, damaging a bathroom window belonging to the same victim, and failing to surrender to custody. We have launched a new Facebook group to bring you all the latest news from Hull's courts. Whether it's Crown Court or Magistrates Court, our group will bring you all the latest updates as criminals are brought to justice.